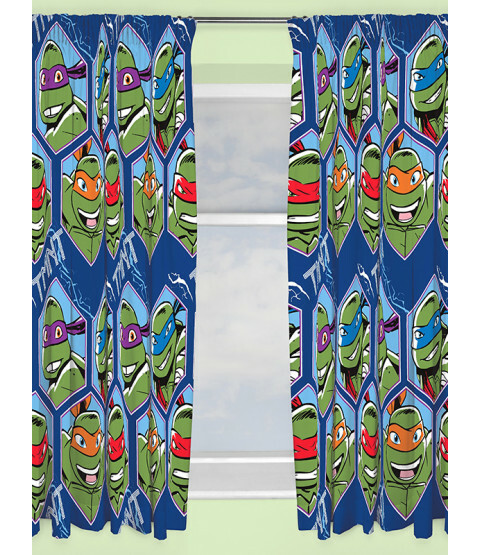 These fun Teenage Mutant Ninja Turtles Curtains, the perfect finishing touch to your Turtles themed room! 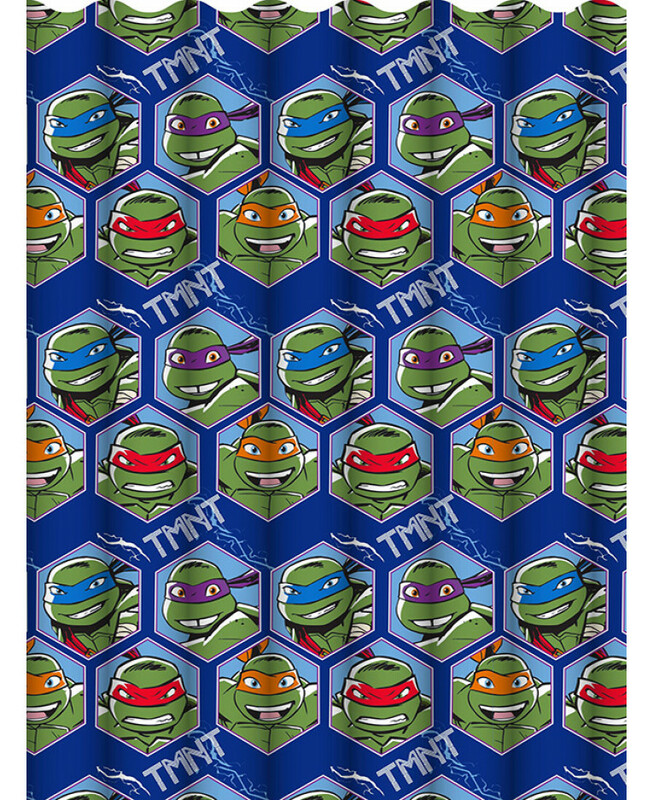 The design features Leonardo, Donatello, Raphael and Michelangelo on a blue geometric patterned background. 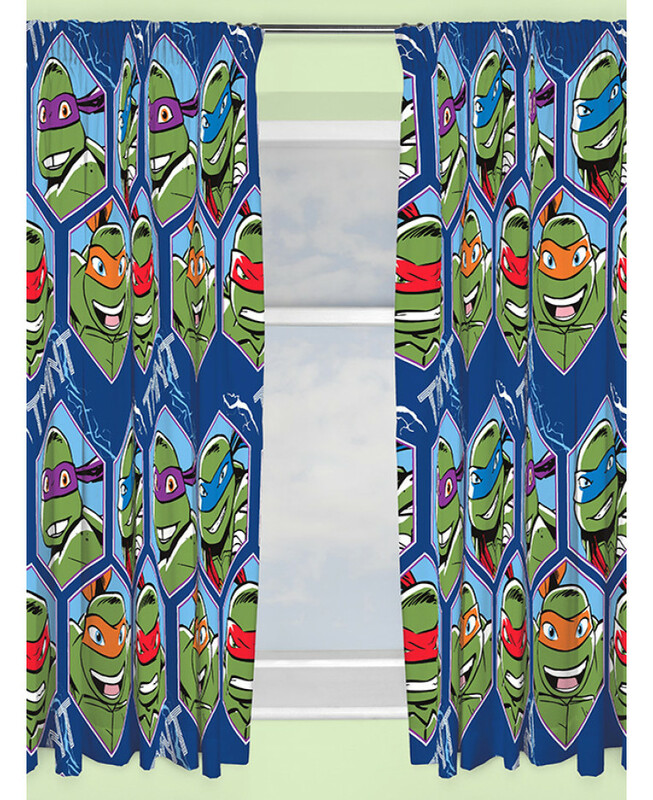 The curtains can be machine washed and tumble dried on a low setting.